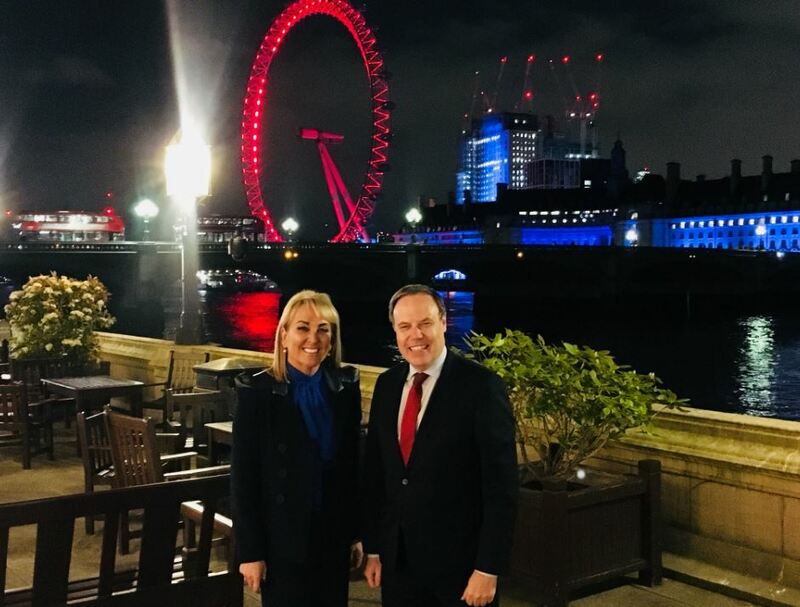 Marie travelled to Westminster where she met with Nigel to discuss the current economic situation in Northern Ireland, the Belfast community, social enterprise and the HALO concept. 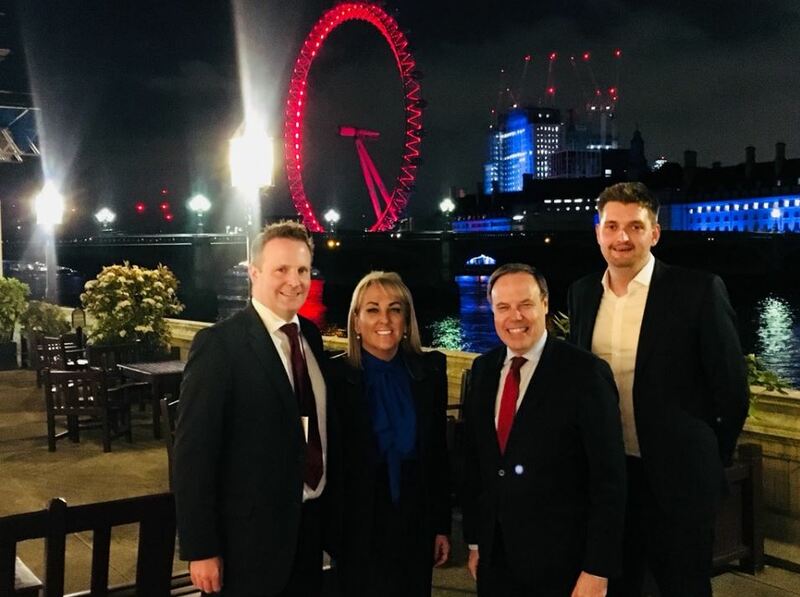 At their meeting, Marie and Nigel also met with Nigel’s Political Advisor, Phillip Brett, also Councillor for Glengormley in Northern Ireland, and JP Irvine, of HALO’s solicitors Keystone Law, to explore further opportunities for a potential second HALO urban regeneration development in Belfast. The group had a very productive discussion on how a HALO in Belfast could provide urban regeneration, transform the local economy and create employment opportunities in the city. Pictured in the top image (left to right) are: JP Irvine, Marie Macklin, Nigel Dodds and Phillip Brett.